As you know, I’m a bit of a wargamers and military history nut. I like military history, painting toy soldiers and the like. I was therefore pleasantly surprised when I ran across a castle here in Singapore. The lady and I had decided to head down the East Coast for a walk on the edge of the Straits and a bite to eat by the seaside. Sand in the toes, a surf and turf and a bottle of something cold, a nice way to spend a Sunday afternoon and evening. We went to the ManaMana Beach Club for a stroll and dinner. What a pleasant surprise. 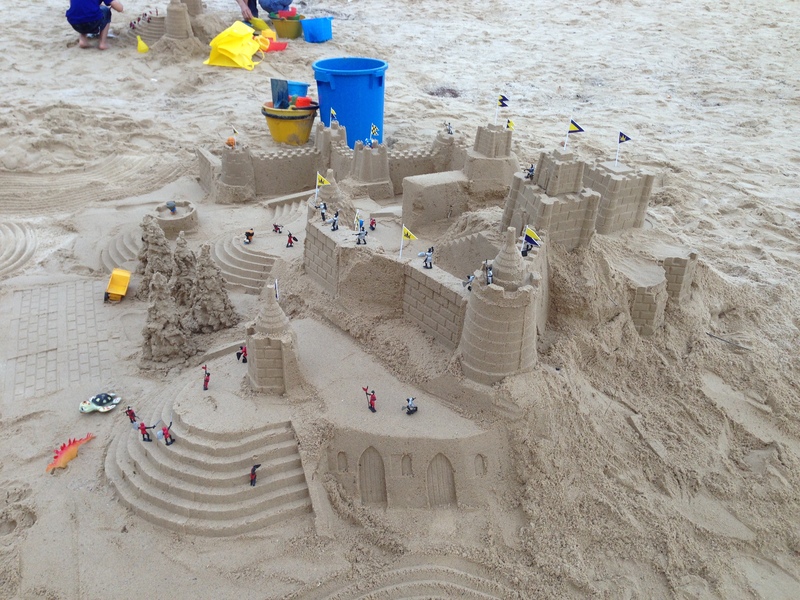 Walking along the beach we ran across a sand castle. 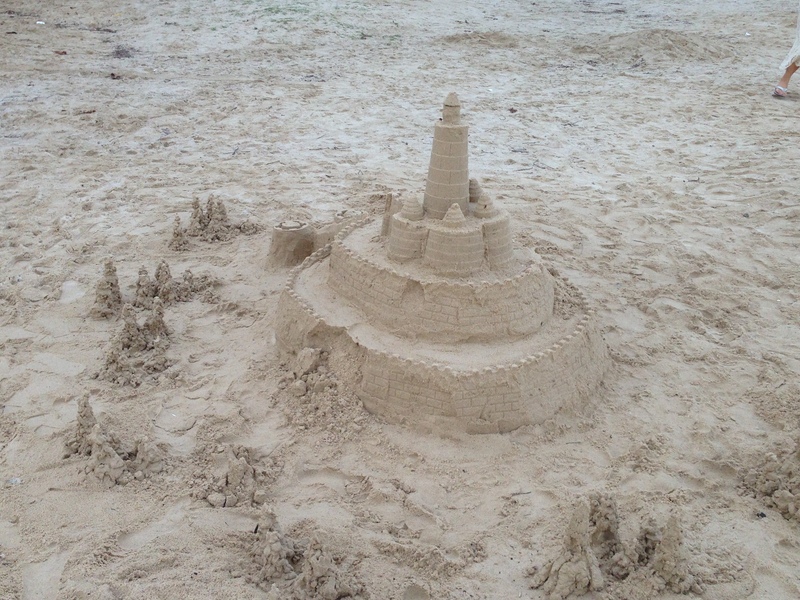 This was not the pile of sand I used to build as a child but rather a proper castle. Walking along a bit further and we ran into a castle, defenders on the walls ready to repel the evil … well, evil whatevers. I was impressed with the level of detail such as the stones in the walls and tiles on the roofs. 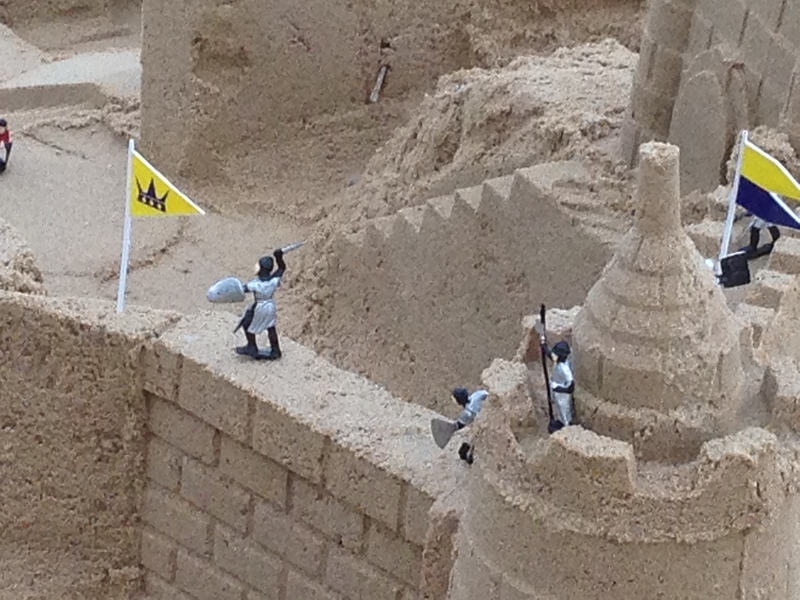 The soldiers and flags came from a popular toy set but the builder’s skill was amazing. This castle was a big one.